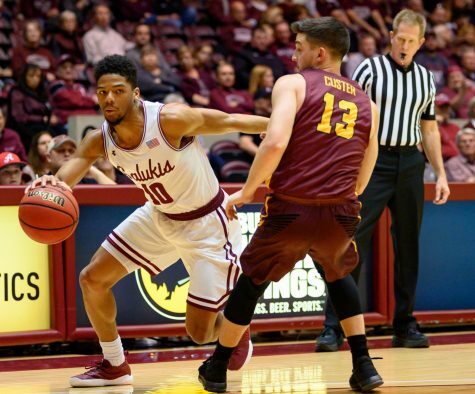 Four errors are hard to overcome to pick up a win, especially when the other team makes none. 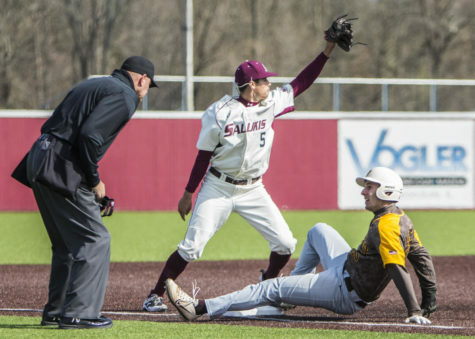 Southern Illinois baseball did just that Friday in a 5-3 win against Memphis. 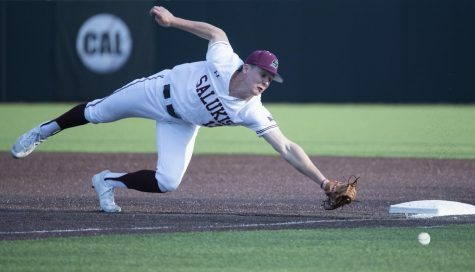 The Salukis (13-8-1) scored five runs on 10 hits behind a pitching staff that worked around four errors to even the series with the Tigers (9-13). Junior right-hander Chad Whitmer (2-0, 2.30 ERA) allowed three runs, one earned, on five hits through six innings of work with six strikeouts and one walk to earn the win. Memphis sophomore righty Connor Alexander (2-2, 4.01 ERA) pitched all eight innings, allowing five runs on 10 hits, striking out four and walking one. 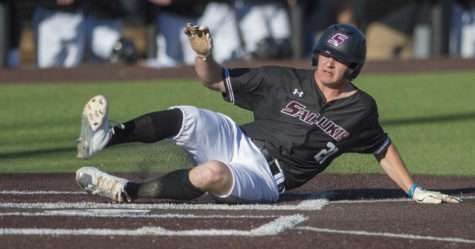 A three-run rally in the bottom of the fifth inning gave the Salukis a lead they would not relinquish. Freshman third baseman Jared Schmidt, sophomore second baseman Connor Kopach and junior center fielder Dyllin Mucha drove in all three runs without hitting the ball out of the infield. 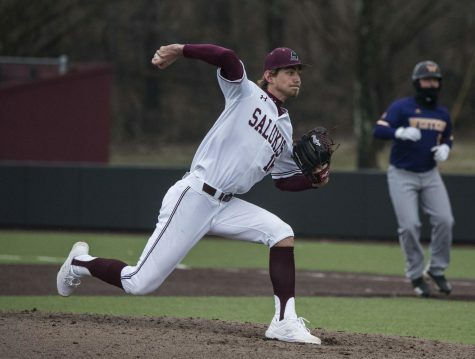 Sophomore closer Ryan Netemeyer picked up his fifth save of the year and lowered his ERA to 0.59, finishing the game with a successful rundown started and finished by Schmidt. 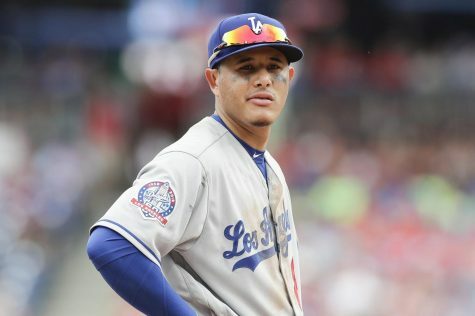 Schmidt, making his first career start at third base, collected two hits, drove in a run and scored one himself. Hitting coach Ryan Strain spoke to the Saluki hitters on the field long after Thursday night’s game ended. 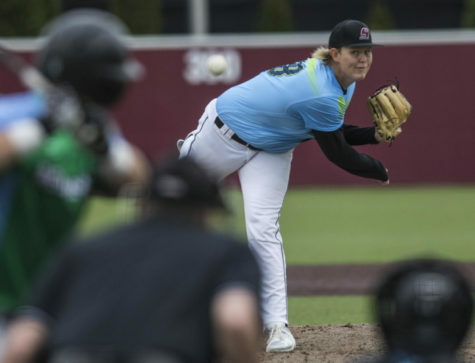 SIU collected three more hits Friday than in Thursday’s 7-4 loss, and struck out four times Friday as opposed to Thursday’s 10. 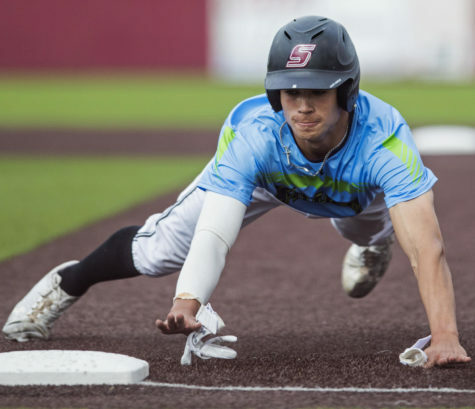 Junior shortstop Will Farmer also collected two hits. 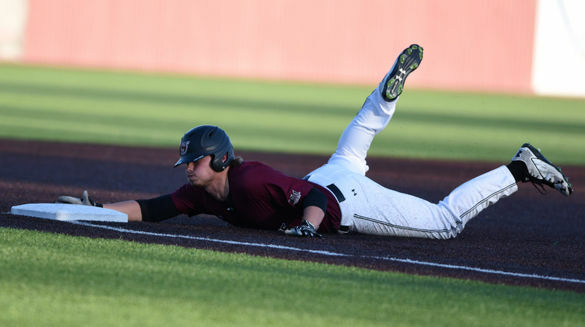 Kopach led SIU with two RBIs. Junior shortstop Brandon Grudzielanek led the Tigers with two hits. 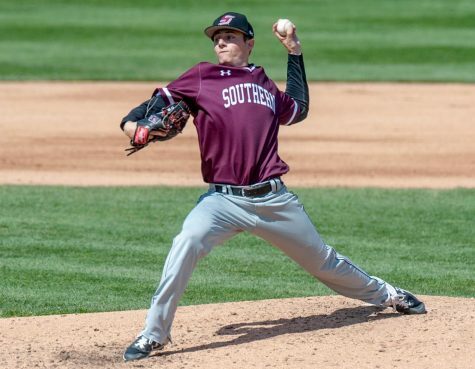 Sophomore right-hander Michael Baird (3-1, 1.30 ERA) will take the mound for SIU in Saturday’s rubber game. He will face senior righty Matt Ferguson (3-2, 1.61 ERA).